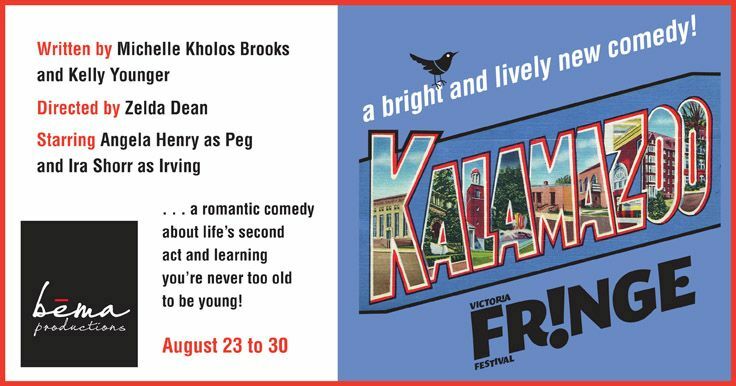 Kalamazoo by Bema Productions at the Victoria Fringe 2018. An interview. Kalamazoo by Bema Productions at the Victoria Fringe 2018. An interview. 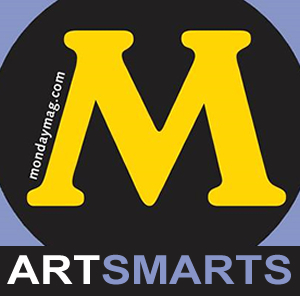 You are here: Home / Arts / Kalamazoo by Bema Productions at the Victoria Fringe 2018. An interview. Bema Productions, founded in 2013 by veteran theatre-maker Zelda Dean during Congregation Emanu-El’s Arts Festival, has a reputation for producing thought-provoking dramas and comedies. This year’s offering at the Victoria Fringe Festival, in the “bring your own venue” of the synagogue’s social hall is Kalamazoo. Zelda Dean was happy to answer a few questions. How long have you been producing work at the Victoria Fringe circuit? As an artist/company? I personally performed a one woman show in Victoria’s first Fringe Festival many moons ago. 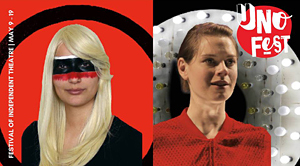 We took our Calgary show to Calgary’s first Fringe, Edmonton and then Victoria. I was very motivated as our first grandchild had just been born in Victoria and I needed a good excuse to see him again. This is Bema’s 4th time in the Victoria Fringe. Our first show was a huge hit – The Best Meal You Ever Ate. Our second show The Old Ladies Guide to Survival with Wendy Magahay and Christine Upright was voted Best Comedy and last year we were runner-up for Best drama with Horowitz and Mrs. Washington. This show was also invited to the Gabriola Island Festival and played to a sold out tent. Kalamazoo was co-written by Mel Brook’s daughter-in-law and has been performed various times in the USA. We were granted the Canadian premiere. Bema and I were featured this year in Focus Magazine and it amazes me that I am still getting great calls from folks who pile the magazines up and then binge read. The playwright won the Riva Shiner Comedy Award with Kalamazoo. Kalamazoo is a comedy with lots of one-liners as well as delightful characters who appear very mismatched in the beginning. Our actors had to step into the shoes of a fairly observant Catholic Irish widow and a non-observant Jewish widower who find each other on a senior dating site. Aside from having to learn the many lines of a two-hander, the process included lots of physicality, accents and discussion about how they would feel in a similar situation. They never leave the stage and the process helped them build the stamina one needs for a show like. Of course, the chocolate and nuts they bring to rehearsal also helps. Anyone who is a parent or grandparent or has any relative driving them crazy. The characters in the play are seniors, but the humour and the poignancy is pretty universal. I really like what the Examiner said about this charming play. Kalamazoo offers a refreshing take on a familiar story. Peg and Irv, two quirky but endearing baby-boomers, bravely venture into the world of modern dating. But when these opposites attract, they discover love isn’t any easier the second time around. What could sound like the pilot for a TV sit-com ends up touching you in ways you might not expect. Winner of the Riva Shiner Comedy Award, Kalamazoo is a romantic comedy about life’s second act and learning you’re never too old to be young. 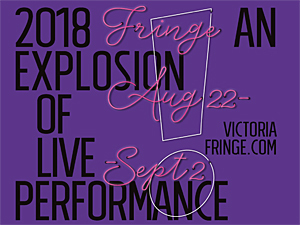 TICKETS available online from August 1 at victoriafringe.com or ticketrocket.co or in person at Ticket Rocket Lounge: 10 am–5 pm Monday to Friday at 101–804 Broughton (across from the Royal Theatre).Fringe HQ: noon–7 pm daily starting August 21 at 2–1609 Blanshard (at Fisgard, across from Romeo’s). Or at the door. ABOUT BEMA Born during Congregation Emanu-el’s 2013 Arts Festival, Bema Productions is now in its fourth successful season. Winner of the Best Drama Award at Victoria’s 2016 Fringe Festival, Bema believes both in the power of theatre and in helping Victoria’s community by supporting other non-profit organizations. 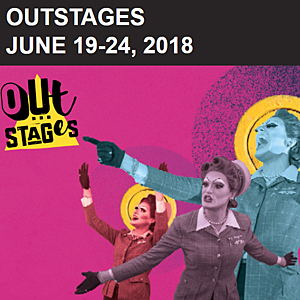 To this purpose, Bema offers productions of its main stage play each year to Victoria non-profit groups in support of their fundraising efforts. Horowitz and Mrs Washington by Bema Productions. Victoria Fringe 2017. An interview. Lessons by Wendy Graf. 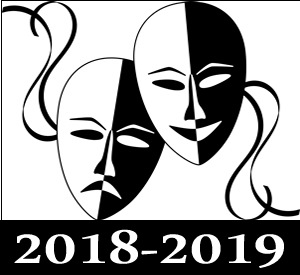 Bema Productions April 12-22, 2018. A review.